We can’t have a Week of Mild series without including a good salsa. 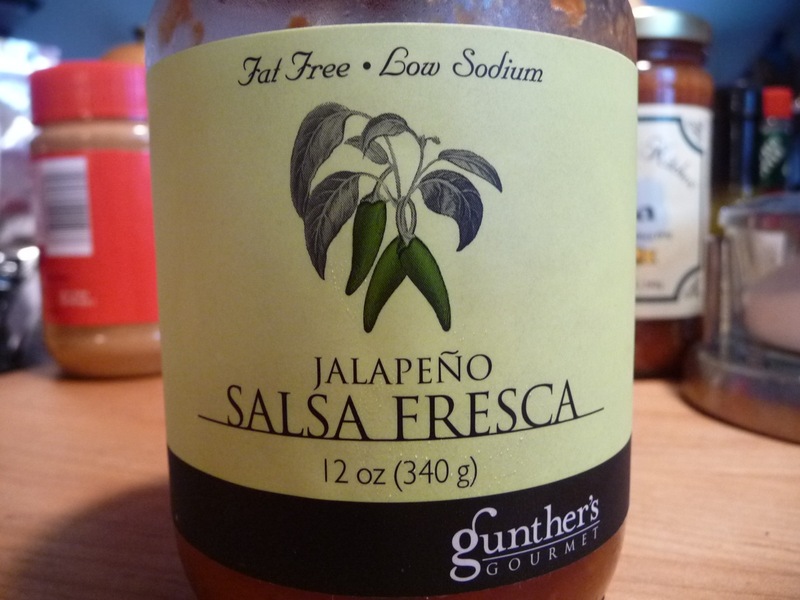 Our review of Gunther’s Gourmet Jalapeño Salsa Fresca just fits the bill. Brothers Nick and Michael Lampros of Gunther’s Gourmet have amassed quite a line up of salsas, marinades, and vinaigrettes. 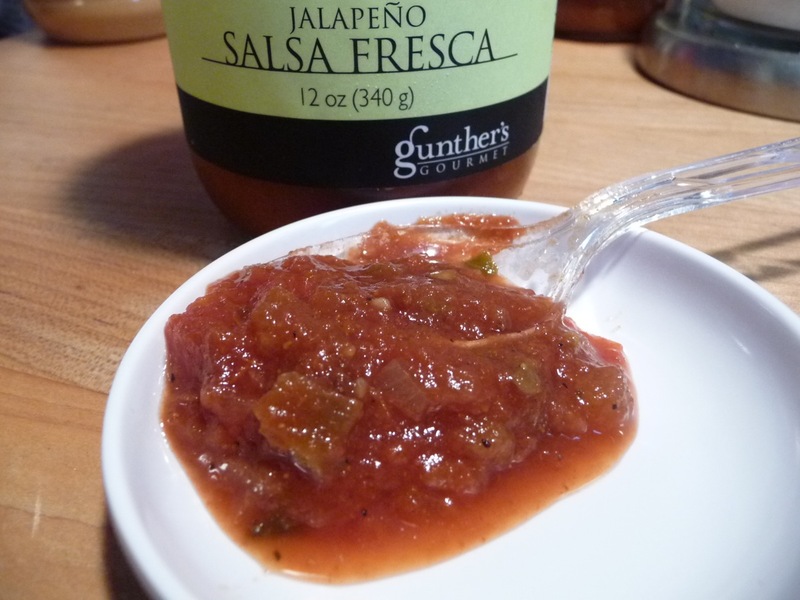 We think their Jalapeño Salsa Fresca is a fine example of a mild salsa with flavor and heat. This salsa is one of the best jarred salsas we’ve had this year. Texture & Appearance: This chunky salsa has large pieces of tomatoes, onions and peppers. It’s not pureed to death like some jarred salsas. With it’s bright red color, and big texture, you can see and feel what you are eating. Taste Straight Up: A big fresh taste with well defined flavors – lots of garlic and a nice classic jalapeño heat is complimented by the citrus from the lime and lemon juices. Heat Level: – Although this is pretty spicy for a mild salsa, I’m only giving it 2 stars of heat – I can assure you the heat subsides quickly. This, folks, is the mild “everyone can handle it” type of heat. You won’t be blacklisted from this year’s Family Labor Day Picnic for bringing a few jars of it along with chips and sour cream. There ya go, I just solved your chips and dip dilemma (at lease for this year). Label/Graphics: The very classy label makes it easy to see what you are buying. “Fat Free – Low Sodium” and “Jalapeno SALSA FRESCA” are about it. I jokingly told Marilyn this label is very “Dean & Delucca-y”. Overall Rating (Taste on Food, Final Thoughts): As I write this review, the jar is almost empty. It’s just made for your chips & salsa snack. Period. We’ve tried it as a classic salsa with chips, on pizza, and on some small plate nachos. It doesn’t get much better than this! 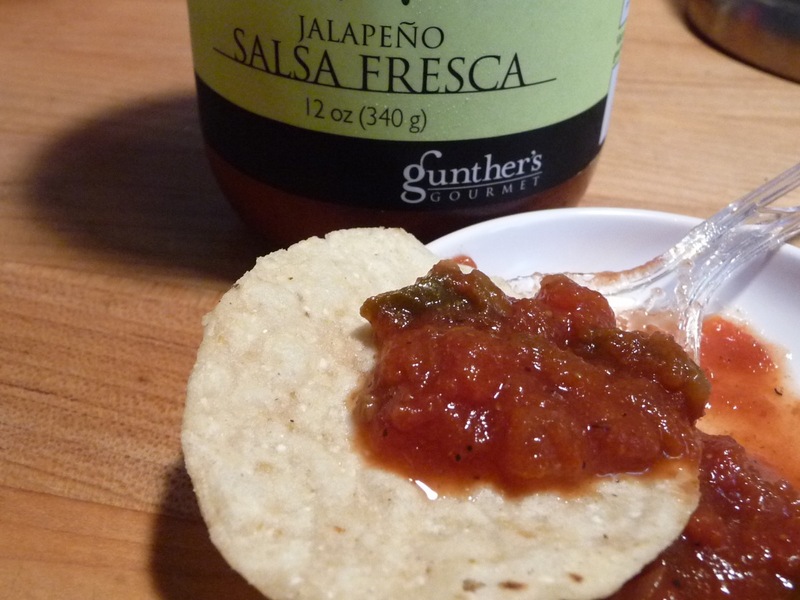 Visit GunthersGourmet.com for this salsa, and all of their other products. Like Gunthers Gourmet on Facebook too! Though Brian gave this 2 stars for heat, I’m going to let you know it’s more like a 2.5 or 3, depending on your heat tolerance. But for fresh flavor, I have YET to find a better salsa for my everyday use. If you’re tired of the bland flavors you get from Chi-Chi’s, Tostitos, or every other grocery store salsa that you think is good, or just OK, you MUST order a 3 pack of this salsa. Seriously. It’s that good. Over processed salsas that are pureed are the worst, I like them chunky like this. I’ve had some pureed salsas that I really like. Especially if the “grind” is not too small.